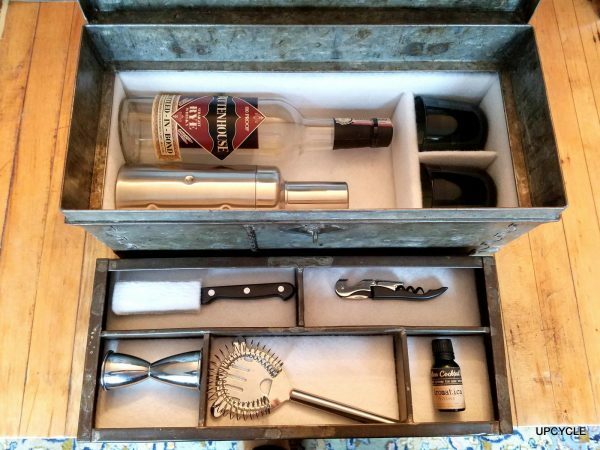 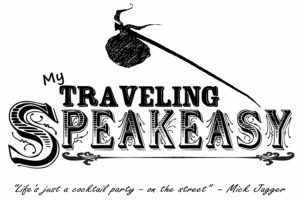 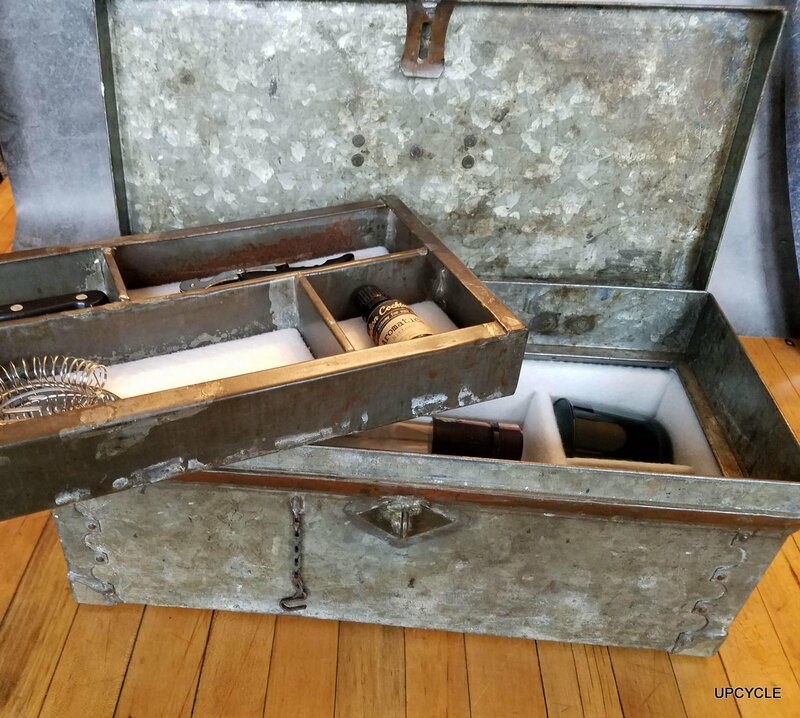 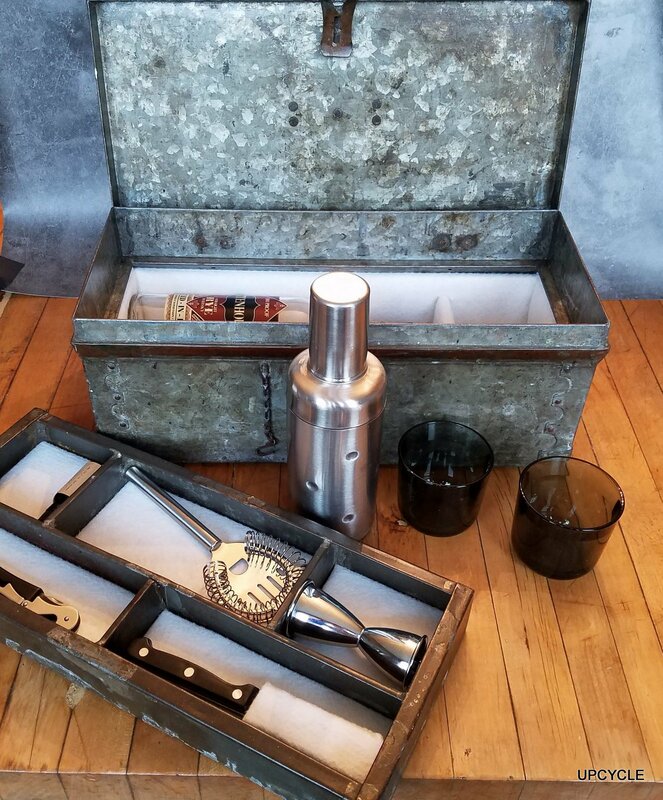 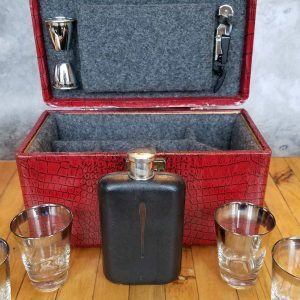 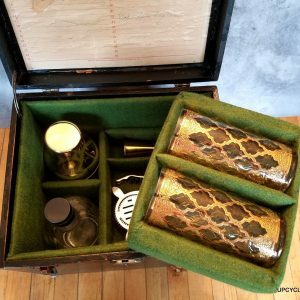 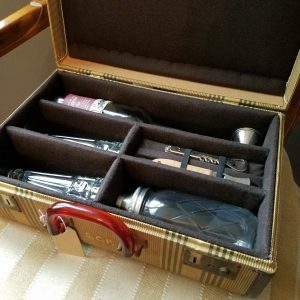 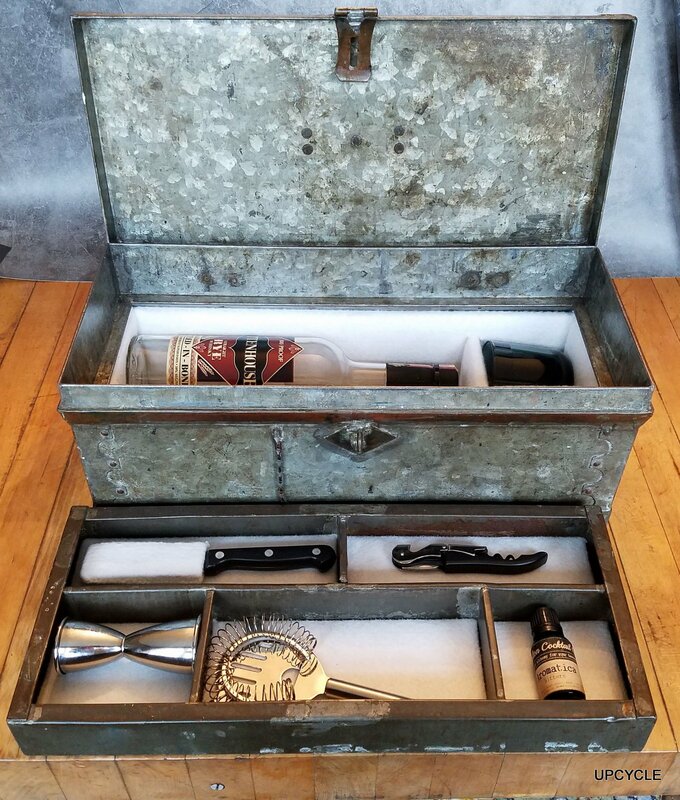 The Mario, hand constructed in an antique galvanized zinc toolbox, incorporates a pair of vintage Scandinavian smokey rocks glasses with everything you need for a traveling cocktail – except the spirits, of course! 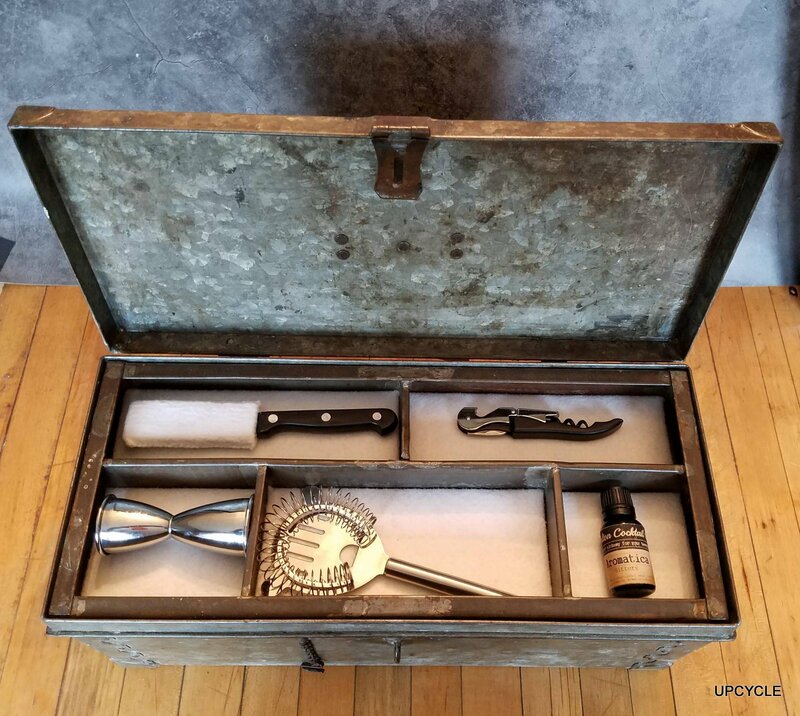 Chrome jigger & silver industrial design shaker, paring knife, Hawthorne strainer and a professional double-hinged wine & bottle opener complete this set, making it ready for mixing. 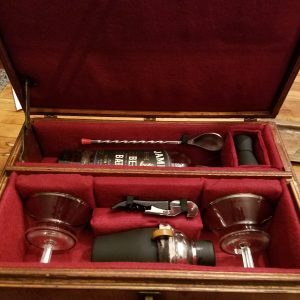 This one even comes with a 1.5 oz bottle of bonus bitters from Carlton Cocktail Company. 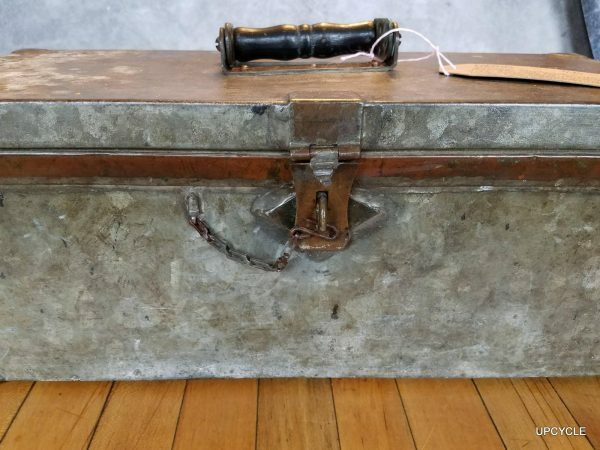 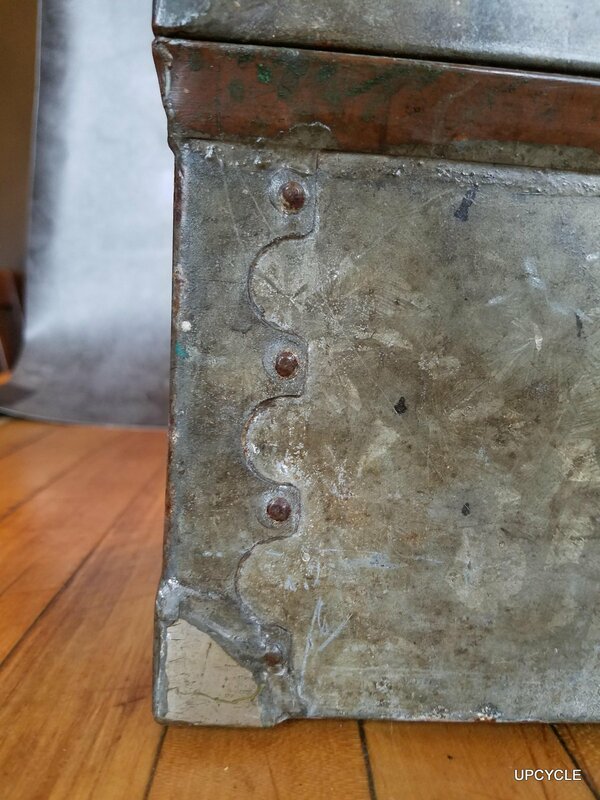 This completely refurbished antique plumber’s toolbox has an icy white wool blend felt upholstered interior, original hasp with chain lock keep it securely closed, and original wood handle, copper trim and brass corner covers give it a bit of flair. 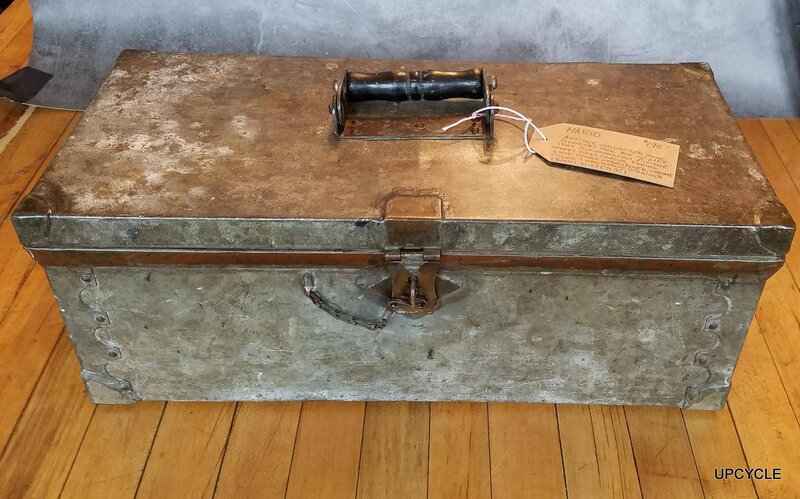 Contact us for a precised shipping quote.